A group of multiethnic scholars and practitioner researchers explore concepts of teaching for social justice and preparing teachers to work towards social justice in schools and communities. 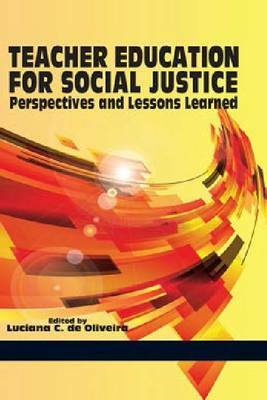 The objectives of this book are to 1. present different perspectives on the preparation of teachers for social justice work; 2. contribute to the existing literature on social justice; 3. provide pedagogical implications and suggestions for teacher education programs that want to incorporate social justice into their preparation courses. This volume is intended for an audience of researchers in education and students in advanced undergraduate and graduate courses.